Tribal & Tech House, Techno / House / Trance Sample from Wave Alchemy. 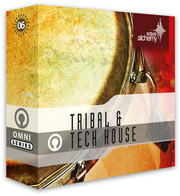 Wave Alchemy has released Tribal & Tech House, a collection of tribal infused tech house rhythms and percussive ensembles. 610MB of sample content (1.6GB inc additional formats). 577 24-bit, royalty free wav loops & samples. WAV, REX 2 and Apple Loops formats included. 132 top loops – kick free add-ons including tech house tops, percussive rhythms and house grooves. 128 raw percussion loops – live percussion loops including hand drums, conga, sabar and djembe. 77 groove assist loops & layering tools. Including tempo-synced and processed field recordings, vocals, ambience loops and organic sound effects. 75 shakers & stick loops – featuring both African and Latin shakers, sticks and layered loops. 40 bonus kick grooves & processed drum loops. All loops have been recorded at a tempo of 127 BPM. 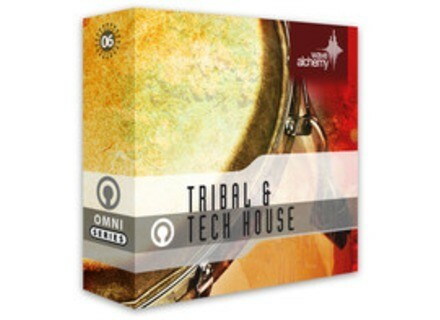 Tribal & Tech House is available to purchase for £27.95 GBP. A free demo sample pack is available for registered users (free). Ilya Efimov Sound Production The Strum Ilya Efimov Sound Production has released new libraries for Kontakt called The Strum. Sónimus Satson v1.1 Sonimus has released version 1.1 of Satson. Synapse Orion 8.5 Public Beta 2 Synapse Audio released the second public beta of Orion 8.5. This will be the last beta before the final release of Orion 8.5 scheduled for September 2011.